ST GERVAIS -Stunning ski in and ski out chalet with magnificent view. If you have a real passion for skiing, you don't want to waste time and energy catching shuttle buses or making a long, uncomfortable walk to the ski lifts in your ski boots, carrying your skis. Imagine the incomparable feeling of getting ready in the morning and stepping straight out of your door onto the slopes or hopping onto a lift that takes you directly to some of Europe's very best skiing. At the end of the day, no waiting around to catch the bus back for you, just whiz right back home and step out of your skis at the door. With all that saved energy and time, not to mention stress, you will be showered, dressed and ready to hit the bars and restaurants long before your less fortunate friends. It goes without saying that the most popular ski properties on the market are those with ski in ski out access. While there are many lovely properties currently for sale in the ski resorts of France (Ski Chalets for Sale in France), only a small and select group have this most desirable of facilities. Ski in ski out property can be reasonably priced! Many are, as you might expect, priced accordingly, and may be out of reach of those without access to large bank accounts, but some are surprisingly reasonable. 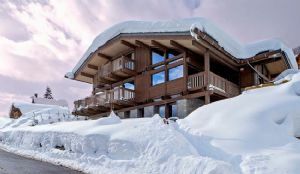 To save time searching, the following is a selection of the best ski in ski out properties currently for sale in France. 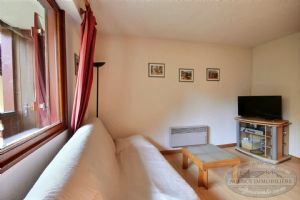 For sale, One bedroom apartement in the center of Saint Jean d'Aulps Resort. Cable car, Ski School, shops and shuttle are at 50m. Apartment ski in ski out. View on mountains, West exposure (sunny the afternoon). Possibility 6 person with the separate bedroom and the closed mountain corner. 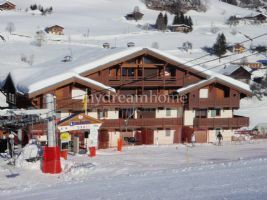 This 2 bedroom ski flat is ideally set on the pistes in the family ski resort of Flumet. The station is part of the Espace Diamant ski domain linking the villages and ski stations of Flumet, Praz sur Arly, Notre Dame de Bellecombe, Vrest Voland, Les Saisies and Hauteluce with 185km of great skiing. 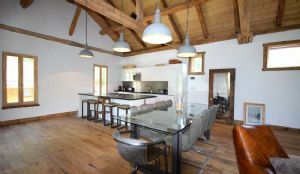 The property is made up of 2 bedrooms, a bathroom, wc, a living/dining area leading out onto a west facing terrace boasting stunning views of both the surrounding mountains and ski slopes. 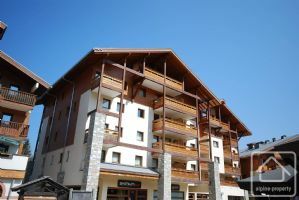 Constructed in 2005, Apartment Jardin Alpin is a great top-floor loft style apartment offering ski in/ski out, or biking and hiking trails on your door step in summer. Conveniently located at the foot of the slopes in the heart of Morillon station with bars, restaurants, shops, crèche, sledging and skiing all close by. Prime location Megeve, duplex apartment for sale in the highly sought after Mont d'Arbois area near the golf course and ski slopes. Ski property of 70m2 made up of living and dining area, open kitchen, 2 large bedrooms a bedroom with bunk bed, 2 bathrooms, 2 wc, 2 balconies, 2 ski lockers and parking space. The flat benefits from stunning views of the Aravis, Jaillet and Mont Charvin and above all is located in the heart of The Alps prettiest ski villages Megeve. 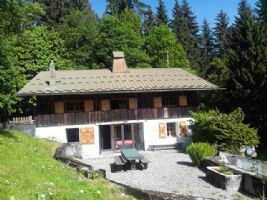 Detached, ski in - ski out, chalet at Bisanne 1500. 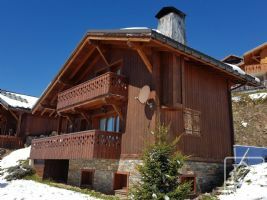 This chalet enjoys an exceptional, ski in ski out location, right beside the ski slopes in the Espace Diamant ski domain. It has great sunshine exposure and a breathtaking, 180° panorama which takes in both the Mont Blanc and the Beaufortain mountain ranges. The chalet has a floor area of 110m² which comprises : Level -1 : en-suite bedroom, large dormitory bedroom, utility room, WC. Authentic Savoyarde farmhouse in stunning secluded position, with views of Mont Blanc, a short distance from the pistes. Ski in/ Free bus out! The farm is located in a beautiful alpine setting, close to the hamlet of Les Communailles. Currently comprising 5 bedrooms, the property is split into two spacious apartments that link via the interior. It is currently habitable, is in good condition, and is regularly used for holiday accomodation both in winter and summer. One of four luxury apartments on the top floor of a beautiful alpine style building. 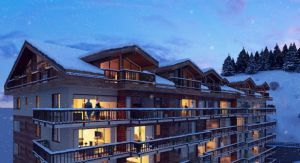 Nestled in the heart of the famous ski resort Courchevel 1650 Moriond, ideally located near the piste and ski lifts, these ski-in ski-out penthouse apartments have an incredible view over the valley and surrounding mountains. The pistes are part of the enormous ski area of the popular 3 Valleys resort (with 330 ski slopes over 600km). At the base of Europe’s highest téléphérique (the Aiguille du Midi), Chateau 3482 is the result of a meticulous and painstaking renovation project of a traditional property in the heart of Mont Blanc’s signature resort, Chamonix. 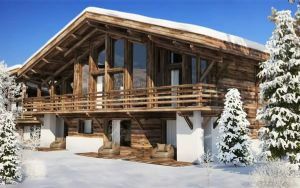 This brand new luxury chalet is located in the Villaret area of Megève. Its dominant sunny position offers the most stunning views of Mont Blanc available in the area. 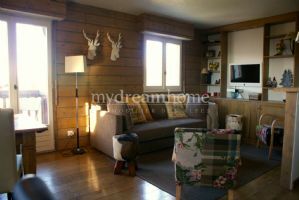 This detached property stands on a 1,105sqm plot only 5 minutes from the centre of Megève.